Not all the sailboats in Oriental are in the water – or even on the hard. 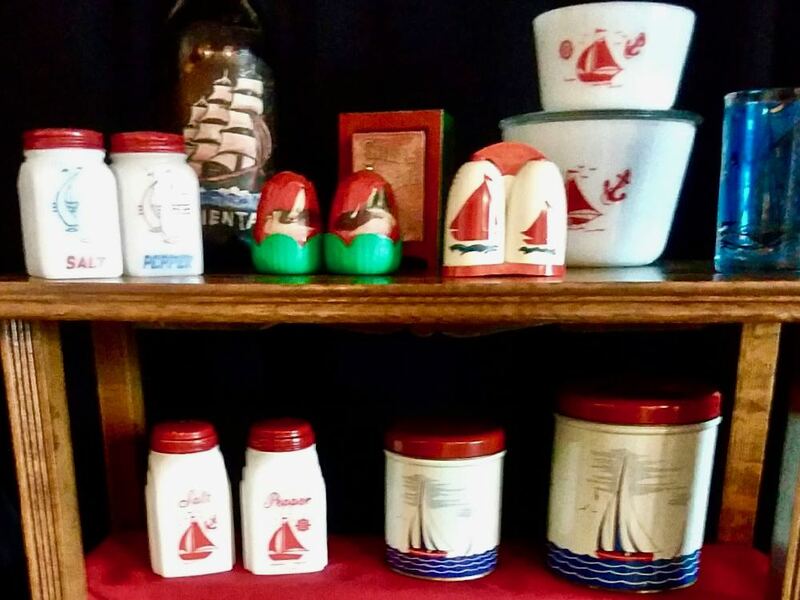 Oriental’s History Museum featured exhibit this summer shows how the images of sailing vessels have been used to adorn everyday items — glasses, kitchenware, matchbox holders, ash trays, clocks, lamps. Sailboats: A Cultural Icon, is drawn from Pat and Almira Dallas’s extensive sailboat motif collection, accumulated over several decades. Their collection also includes promotional items dating as far back as the 1930s.